Marcello Labor lived a very unique life. Not many saints can say they were converts from the Jewish faith or that they were a doctor, father, husband, widower, journalist, soldier and priest. Marcello was all of these things and lived life to the fullest. He was born in Italy to a Jewish family. His parents practiced the Jewish faith. From his early youth he loved to write, keeping journals and wrote many letters showing his faith journey. He had a desire to help others and studied to be a doctor at the University of Vienna in Austria. It was there he met his wife and in 1912, and married Elsa Riess. Two years later Marcello graduated from the university as a doctor. In 1914, he converted from Judaism and joined the Catholic Church. During this time, Marcello became a medical officer in the Italian army serving in WWI on the Austrian Hungarian front. He was captured by Russian troops but then released. After the war, Marcello and Elsa moved back to Italy where he set up his medical practice. They had three children together and Marcello was a wonderful example of being a Catholic father and husband. He worked to help the poor in the city and was very involved in the local church. He published over 200 articles in local newspapers and magazines about social and faith issues in a time span of 10 years. He worked with Catholic Action youth groups and dedicated time to help the St Vincent DePaul society. Marcello founded the Catholic Center in his city to help teach the Catholic faith and spread devotion to the Eucharist through adoration. In 1934, Marcello’s wife died suddenly and with his children grown as adults, he asked for special permission to study to be a priest. He was ordained in 1940 and was a parish priest and in charge of the local seminary. He was known to be a great spiritual leader and preacher. From 1943 to 1945, Fr Marcello was exiled from Italy by the Fascist government for being both a Catholic priest and born Jewish. He was arrested and imprisoned in 1947 by the Communists. He died of a heart attack 7 years later in Italy. 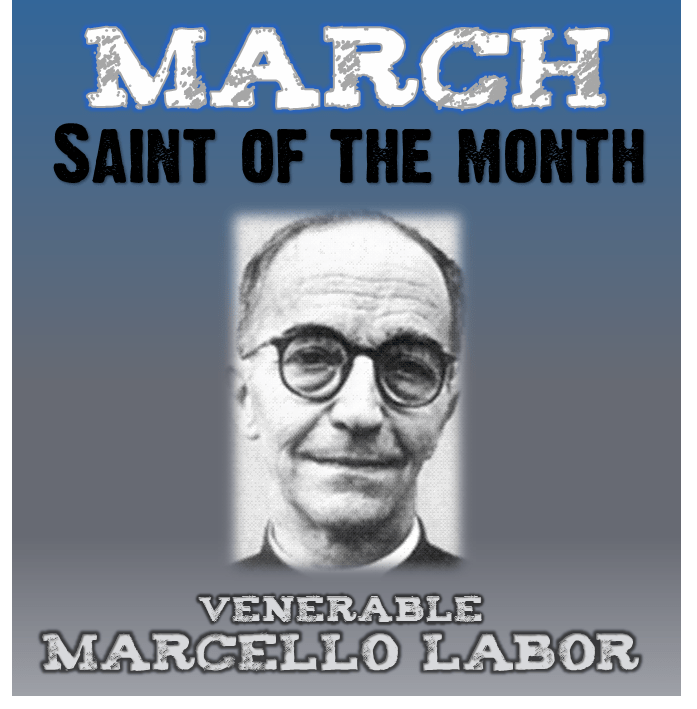 He was declared Venerable by Pope Francis in 2015 for his heroic virtues.